We wouldn’t want you to miss a thing this week. This is why we are dedicating this article to new and trending lifestyle items. Check out our Finds Of The Week list below. An electric ignition charcoal barbeque designed for outdoor entertainment. 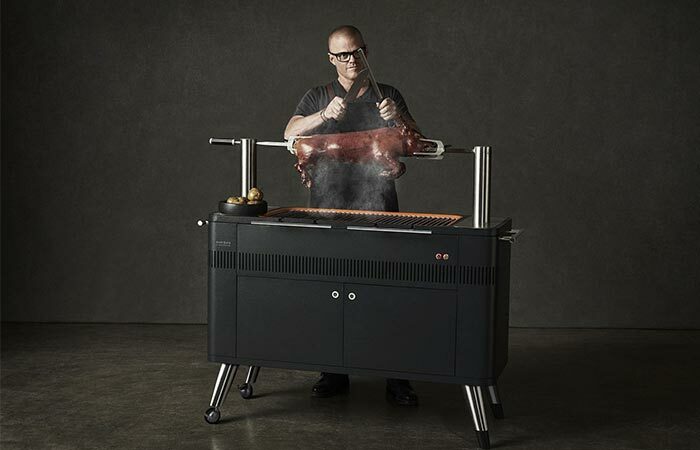 This week everyone is talking about the Hub Grill. It’s packed with plenty of useful features like its ability to set the desired temperature in just 10 minutes and the fact it has a rotisserie system that keeps food firmly in place. This grill has a minimalist Danish design, a retractable 1.5m power cord, two front doors with large storage area and a ‘set and forget’ electronic control. The new Tile Tracker is more powerful than ever. 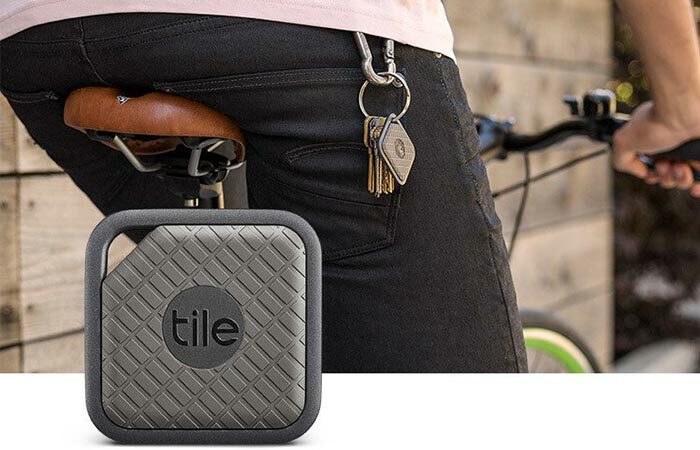 Tile released a rugged tracker called Tile Sport and it’s the most powerful one they got. It has a range of up to 200 feet and uses Bluetooth connection. Its strongest feature is the fact it’s waterproof up to 1.5 meters deep for 60 minutes. It not only has twice the range when compared to other trackers but is 2 times louder as well. You can choose different ringtones, set the desired volume and attach it to your backpack. Finally, when you want to locate your items, just turn on the Tile app and it will show the specific location. A lightweight modular floating cabin for the true retreat on the water. 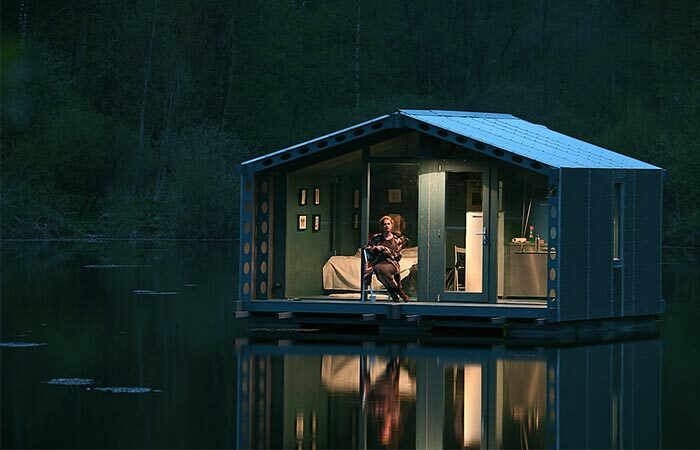 Developed by BIO Architects, the DD16 Floating Cabin is a compact and modular house. The initial idea for designing it was to create an installation that can fit in tight spaces and be used in extreme conditions. It measures 6m2 on the inside and 7m2 of the veranda and it floats. The construction includes milled ports, laminated wood, and composite aluminum facade. It’s lightweight so moving it around with a helicopter or crane shouldn’t be a problem. Inside you’ll find a bedroom, a bathroom with a small shower and bio toilet as well as a functioning kitchen. It runs on solar and lets in plenty of natural light. A book that will teach you to survive in the wilderness with nothing but a Swiss Army Knife. Felix Immler is a woodsman that dedicated his life to teaching bushcraft and historical handicraft techniques. He will teach you all about camping in the wilderness. There’s a twist- everything he teaches in this book refers to situations when you have nothing more than a pocket knife. 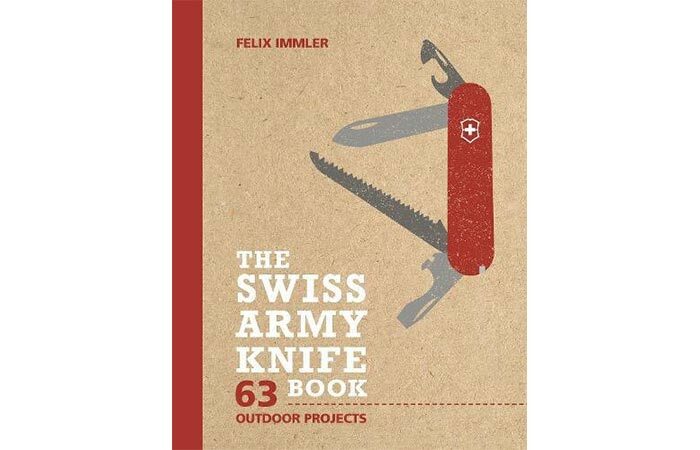 The book includes 83 outdoor projects from making camp essentials like a roof, chair, and bed to carving spoons, weapons and bowls. You might have stumbled upon this documentary on social networks, at least its trailer. So, what is it all about? Jim Carrey is well known as the master of comedy but not a lot of people know he does art as well. It all started when he was experiencing a tough time in his life and it later turned out into an obsession. In this 6 minute video, he shares his talent, techniques and his view on art. 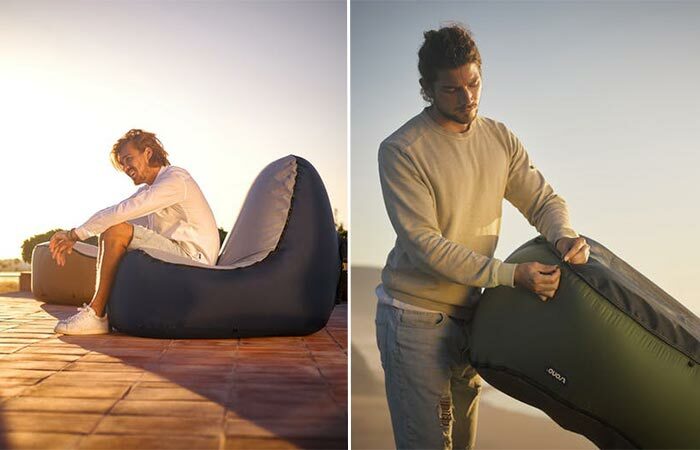 An inflatable chair perfect for traveling, camping, going to festivals and beaches. Designed in the Netherlands, Trono Chair will change the way we sit outdoors. This chair is ridiculously light (just two pounds) and is very compact when packed. It inflates with a flick of the wrist and it takes just a couple of seconds to do so. As for the construction, it features coated nylon that’s extremely durable and is being used in parachutes. The chair has a soft suede cover that is water-repellent and easy to clean- simply put it in the machine. When you’re done using it, you’ll get surprised how it easily it packs into a small sling bag. A yet to be released coffee table book dedicated to Burning Man festival. 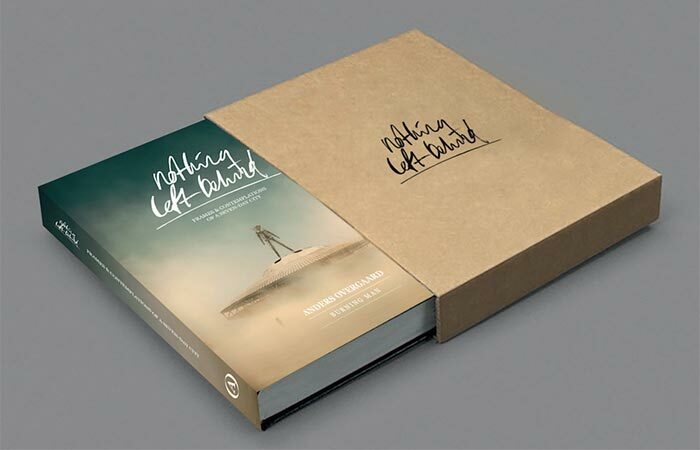 The last find of the week is a coffee table book created by Anders Overgaard. This well-known Danish photographer created a fantastic book by portraying the iconic Burning Man festival. The images are inspiring and poetic. In his words: “It was a photo dream: a scenery that played out for my eyes – with beautiful people in extraordinary outfits.”. The book will be released on September 27, the same day the gallery exhibition opens at the Jason McCoy Gallery in New York City.